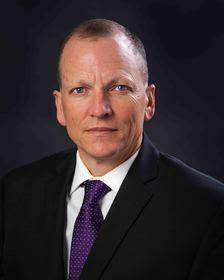 Chief John Merguie formerly served as the Field Operations Bureau Commander and has more than 20 years of service with the department with a total of 26 years experience in law enforcement. He was previously responsible for supervision of all patrol, traffic and field operations functions including special event planning and security. Chief Merguie was instrumental in developing an extraordinary partnership with the Division of Housing and Residence Life where he is included as a member of their weekly management meetings. This interwoven alliance with the 4,000 resident-student community, which has been lauded state-wide and nationally, expanded several years ago to include paid housing for eight UCA police officers in university-owned apartment complexes as a way of enhancing safety and developing relationships.